Wine Tasting: France and South America! 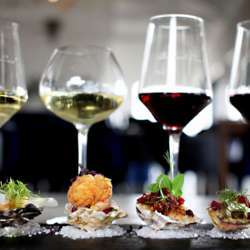 You must be a member of the Prague Wine and Food Evenings Group to attend this activity. Would you like to join this group? a unique opportunity to experience a wine tasting held this Thursday. Discover 6 wines coming from: France and South America. Discover their differences but also what they have in common. Taste 5 French cheeses and saucissons! Get 10% of discount on quality wines. Wine tasting accompanied by a French sommelier.